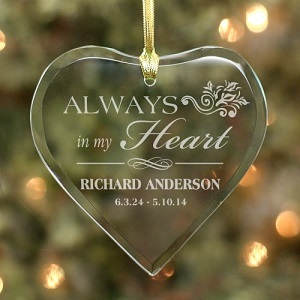 This engraved Christmas Memorial glass heart measures 4" x 3". 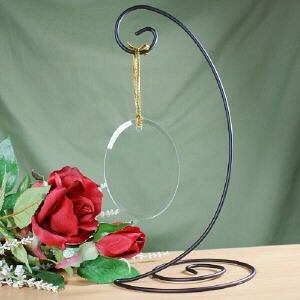 Each one includes a golden ribbon loop to gracefully hang anywhere you choose and gift pouch to create a wonderful presentation. Personalize with any name & memorial dates.